Creating meaningful activities for people living with dementia.Read more. Preparing the environment to foster independence and engagement.Read more. Undertaking roles in a care community gives residents a sense of purpose and contribution.Read more. A day at Archbishop Goody Catholic Homes, East Perth, Australia.Read more. Montessori in Aged Care - Changing Lives of people with dementia. 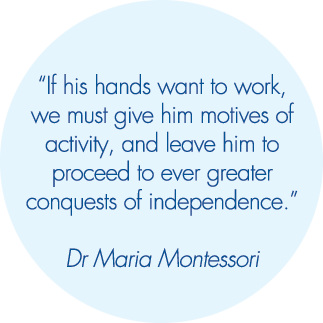 Setting up a Montessori environment can empower...Read more. Montessori principles change the life of Thelma, a lady with dementia living with her daughter. In this short clip...Read more. Tren is a resident at an aged care facility. He was no longer able to feed himself and required full staff...Read more.